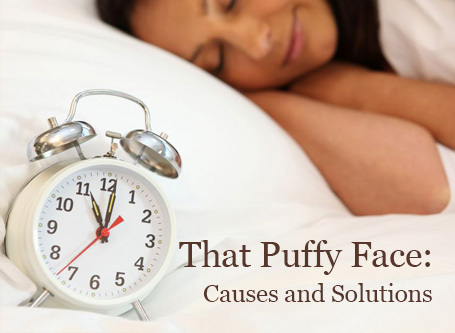 Do you see puffiness, eye bags and creases around your eyes? I’ll wager you’re sleeping on your side or, even worse, on your stomach. It’s gravity. Sleep on your side or your tummy, and all your body fluids get lodged under your facial skin. 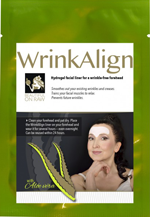 Add in the creases due to folds and you’ll awaken with a distorted face. So it every day and it is there on your face, threatening to become permanent. More in this article What is the Best Way to Sleep. The problem ran deeper. Fact: You have twice as much lymph fluid in your body as blood. Lymph, a gel-like substance, bathes each cell and drains away the detritus from other systems in the body. It’s activated only by your breathing and movement. Sometimes, your lymphatic system can get blocked up and reduce drainage. The result (among others): swelling and a puffy face. Lymphatic material retained in underlying tissues is the most common cause of morning facial puffiness. An overall body cleansing, through water and juice fasting, is the most direct answer. Weekly 24-to-36-hour fasting and eating raw foods helped me resolve this issue. It’s possible, too, that an underactive thyroid might be a reason that your lymphatic system isn’t draining properly. This is not a matter to be trifled with, and is beyond my expertise. If you have any reason to suspect this issue is in play, do consult your qualified health professional. Here’s a cause you might find surprising…Dehydration just might be the main cause of your body’s water-retention! If you are dehydrated, your body attempts to store as much water as possible to compensate. If you are eating too many dehydrated foods and not enough raw vegetables, you will be susceptible to dehydration. The purest water you can find will be in raw fruits and vegetables. Most fruits and vegetables are 70 to 80 percent water. So, if you are eating only a little salad, along with a majority cooked or dehydrated foods, a few glasses of water a day won’t do the trick. You might need a lot of free water during your cleansing phase. But always keep in mind: You’ll find the purest water in raw vegetables and fruits. Salt and carbohydrates are also your enemies. Foods high in salt or carbohydrates are often linked to morning facial swelling. Forget that salt-shaker! But also try to stay away from other sources of salt people often forget if they are still not raw—soy sauce, condiments like mustard, relish, ketchup, some cereals, canned soups, meats, cheeses, salad dressings. Indeed, anything that comes in a jar or a can tends to be loaded with salt. Even when we try to eat healthy by reading labels, we often miss. When the label says “low sugar,” do read on—this often means high salt. Movement matters. Your lymph system is activated by movement. Hot Yoga is my favorite way to exercise. The deep stretching of muscles keeps the circulation going. You sweat out impure fluids in your body and release fresh blood in every area as you compress, stretch and breathe. Yoga also cleans your lymphatic system and circulates the blood throughout your body. This is most helpful in releasing unwanted water retention. Consider not only what you eat, but when. Eating late in the day denies your body the time it needs to rid itself efficiently of liquids it’s no longer using. Because I have been on a completely raw food diet for twelve years, my body does not need as much food as it once did. By avoiding eating before going to bed, I allow my digestive system to rest, letting the body dispose of toxins and unnecessary fluids. Well timed eating works wonders. You can read more about this diet and its undeniable health and beauty benefits in my book Quantum Eating . If you are a beginner in the raw foods lifestyle, it might take a couple years to reach that point. But pursued intelligently and long term, the Quantum Eating program could be the best answer to looking your best in the morning! Keep this as a long term goal. In the meantime, keep two tablespoons in your freezer. Upon awakening, use one of them to massage your entire face. When the spoon loses its coolness, repeat the procedure with the second spoon. This should help you to get by until the results of your improved diet and yoga practice will show up on your face. 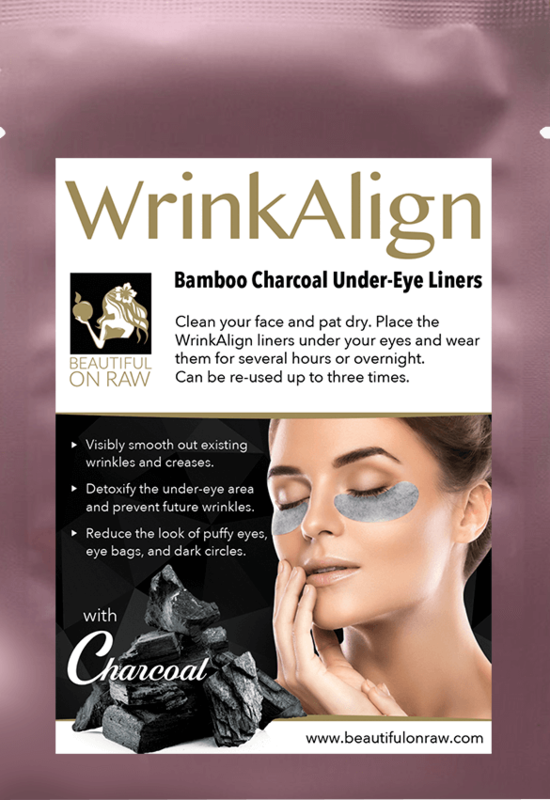 When that puffiness is gone, you’ll see the real you emerge—leaner, more natural, better looking. It’s a fascinating experience—not to mention delightful—to see your cheekbones become more pronounced, your double chin and jowls giving way to sleeker contours. And, all of a sudden, your “bad hair day” doesn’t matter so much, because your face no longer needs your hair to frame your face and disguise and hide that swelling. Suddenly, you’re looking at your best self!